I would have to admit that RF Online was one of my go to games ever since it came out in our side of the world. I loved that RF Online introduced the concept of being able to pilot a truly robot avatar in the form of the Acretians. Seeing the game die just this year in our area felt like a punch in the gut, even if the game has started to become dated compared side by side with new games that have been coming out. 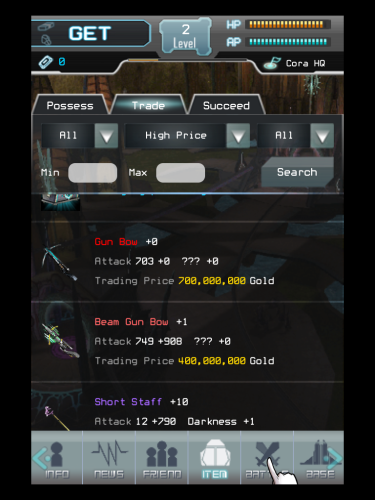 With that said, I pretty much expected that RF Online Mobile would make me reminisce the good old days, back when Chip warring was my thing and taking down Mechs and summons left and right were satisfying sights to behold. Sadly, upon playing RF Online Mobile, all I got was peels of disappointment and it felt that I was extremely short-changed. 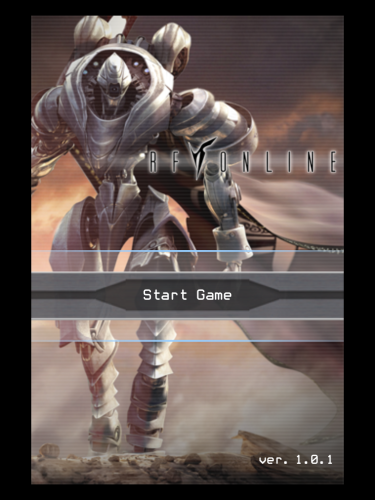 One of the biggest areas RF Online Mobile took liberty with is the gameplay. The MMORPG aspect was torn to shreds and was replaced with a mobile game-sque system much akin to text based, mobile RPGs. 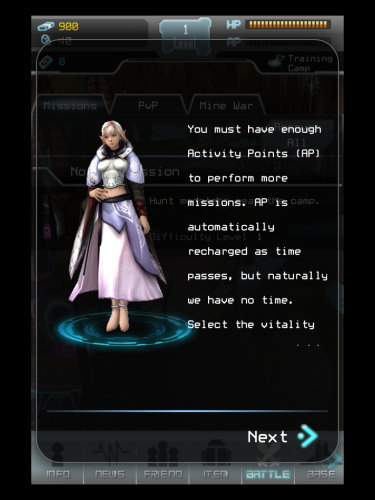 Unlike its PC version, RF Online Mobile’s battle system is an “energy draining” enterprise where you get to “kill” NPCs 1v1. You can still earn experience points and level up much like any other RPG. So think of RF Online as Mafia Wars (remember when that game was popular?) skinned as RF Online. You still have the option of choosing between the three races but the job classes are gone. Your character still has skills that he/she can use. However since the game isn’t a 3D MMORPG anymore, you are only allowed to equip learned and upgraded skills pre-battle and hope to whatever deity you put your faith on that it’ll connect during battle phase. You can also still equip weapons and armaments on your character and even upgrade them too. CH Games Co. retained a lot of gameplay features that were exclusively for RF Online. However the problem is that a lot of them were stripped down to fit the game’s “different look” into the world of Novus. Player progression is done through the single player missions; on the other hand, multiplayer features are relegated into PvP, mine wars and just plain wars. The game tries its best to keep your attention by providing various avenues to make you come back into the game. Chip wars has been changed to mine wars and is turned into a numbers/population game instead of what it was before, an all-out battle between the three races. However, instead of actually duking it out like in the MMORPG version, you are relegated in scrounging up players to help out in the battles. 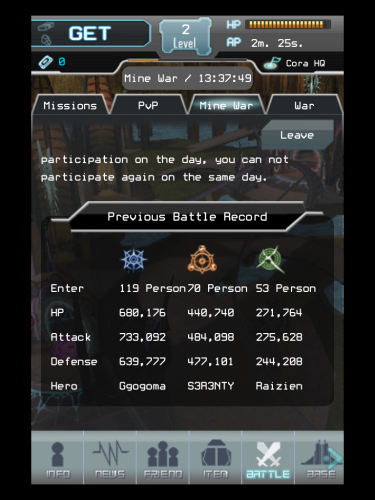 While it’s normally a given that most often than not, events like this are reliant on the player population, at least in the MMORPG version, you still have given that sliver of hope that you can win said wars, but in RF Online mobile, since it’s basically a numbers/stats game, you end up just giving up on even participating. PvP on the other hand, while is still present, is a boring foray into playing against other players. Wars meanwhile are no different, thus dashing more hopes for the game. 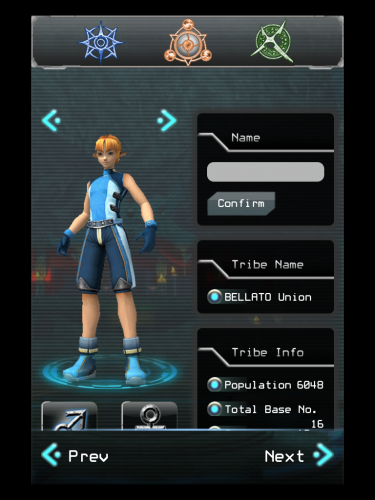 Before I started playing RF Online Mobile, I expected it to be similar to Sega’s Demon Tribes. I hoped that the mobile version retained some semblance of ANY MMORPG elements since there have been various MMORPG games out on the mobile. But no, I was welcomed by a stripped down RF Online experience. It’s insulting to my memory of RF Online, and in this day and age where you can bring RF Online, or at least some of it into the mobile platform. But nooooo, what I had to endure was a flash based game that’s all too similar to numerous half-baked mobile games out there. Seeing RF Online stripped down to this ugly game is painful and sad. 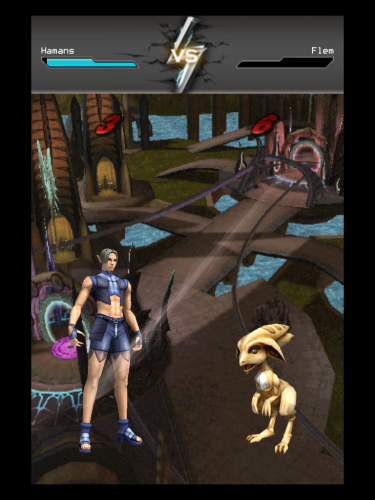 RF Online Mobile kill the whole idea of playing RF Online in the mobile platform. If they just took the MMORPG medium and streamlined it to the mobile platform I won’t be this nasty with the game, but, since this is what it is now, I just can’t stop myself from hating the game. Would I recommend this game? 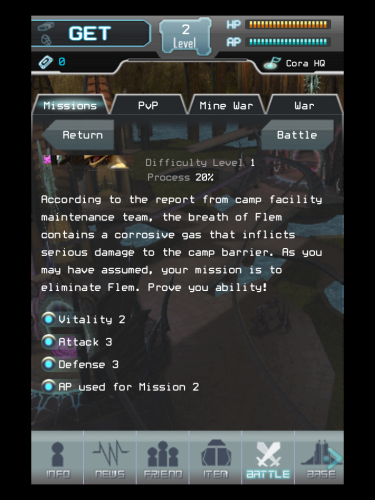 Well if you haven’t been reading at least the first three paragraphs of the conclusion, then I’d say no, not in a million years would I recommend RF Online Mobile to anyone (well except for my enemies since I’d like them to waste their time). Any person who has played and loved RF Online should not even start playing this game. Don’t even touch it, even with a ten foot pole. It’s that bad. I’d rather suggest you to find yourself a nice, stable private server if you don’t want to join the international servers (and that RF Online in your country is officially dead like ours). There would’ve been better ways on how the game was treated, but it clearly wasn’t done here. So move along now and don’t look back at this game ever again. Get ready to rock the Zomber in Zomber Squad's closed beta.